Al Qaeda in the Indian Subcontinent (AQIS) has claimed responsibility for the murder of an American atheist blogger in Bangladesh over two months ago, according to SITE Intelligence Group, which monitors the online activity of radicals. 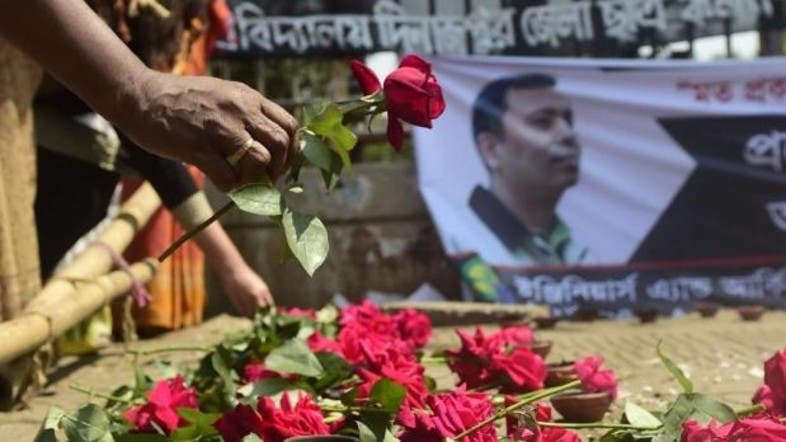 Avijit Roy was hacked to death by two assailants with machetes on the streets of the capital Dhaka in February as he returned from a book fair with his wife. AQIS leader Asim Umar said his organization was responsible for the attack in a video posted on jihadist forums on Saturday, according to SITE, a US website that monitors extremist groups. He also claimed the murders of other “blasphemers”. A spokesman for Bangladesh's Rapid Action Battalion (RAB) force, which is tasked with tackling militancy in the Muslim-majority nation, said it couldn't be certain the claim was correct. “We are not sure,” Mufti Mahmud told AFP when asked if Al Qaeda was behind the deaths of Roy and anti-Islam writers Ahmed Rajib Haider and Washiqur Rahman. Haider and Rahman were also killed by machete-wielding attackers. Haider died in 2013 and Rahman was hacked to death in March. A little-known Bangladeshi militant group called Ansarullah Bangla Team (ABT) has also apparently claimed responsibility for Roy's murder via a twitter account which police have not been able to verify as genuine. The Bangladesh-born writer, who emigrated to the southern U.S. state of Georgia some 15 years ago, was well known in his native land for his Mukto-Mona (Free-mind) blog where he railed against all forms of organized religion. He was also the author of a series of books, including the best-selling “The Virus of Faith”, which was hugely contentious in Bangladesh, an officially secular state where around 90 percent of people are Muslim. In March, police arrested two madrassa students over the killing of Rahman. Police are investigating whether they belonged to ABT and whether they had any connection with Roy's murder.